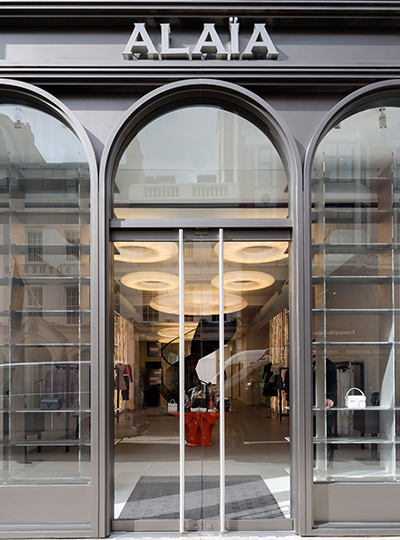 As the first flagship outside of Paris, the opening of Maison Alaïa – founded by the late Azzedine Alaïa – on Bond Street was a pretty big deal. Working with the architect we helped realise the client’s vision through light, to create a luxurious and contemporary boutique. 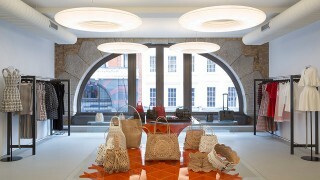 Large “Pelota” pendants are a defining feature and the striking, ring-like luminaires provide diffuse light throughout. 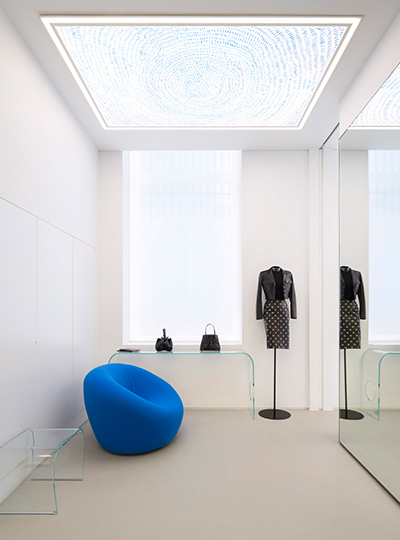 In keeping with this homogeneity the fitting rooms have ceiling-mounted light boxes adorned with artwork that is defined by a frame of illumination. Further lines of light were integrated into window joinery for a simple but eye-catching effect. 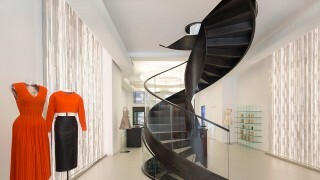 No detail has been left unturned, including the store’s lift. Inside, artwork is printed on plexiglass and back-illuminated with scattered, horizontal LED luminaires – the effect resembles a deconstructed ladder and was part of the artist’s vision. 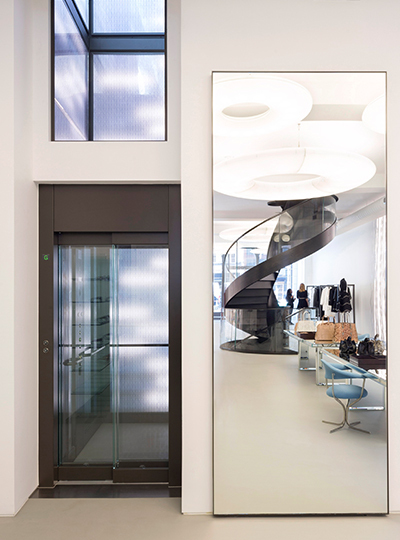 For flexibility, a lighting control system allows different scenes within the flagship, including the lift and changing rooms. Finally, uplights were integrated on the inside of the window framework to accentuate the façade’s verticals and arches, and to add contrast. 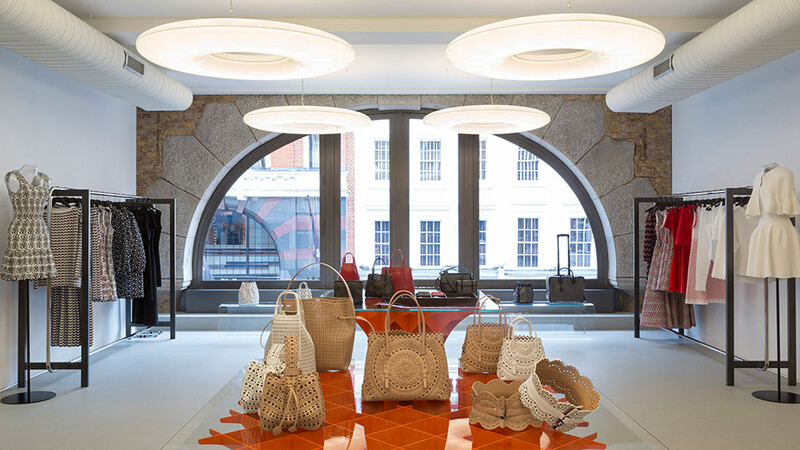 Alongside these, adjustable ceiling spotlights focus on the luxury goods that have made it to the prestigious window display. The lighting scheme in the lift. 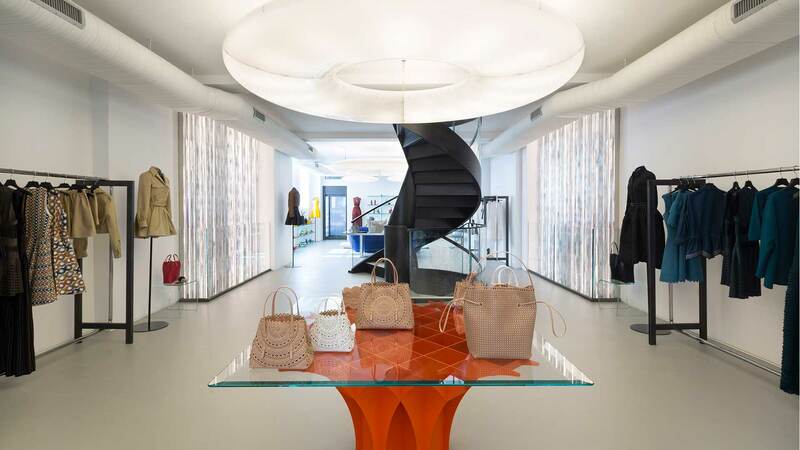 As they say, it's all in detail, and the design adds to the uniqueness and identity of the store.